Discussion in 'Call of Duty: WWII' started by RobbieBrewis, Feb 10, 2017. Sledgehammer games are releasing their cod title this year, rumour mill is kicking into gear they are going back to cod's roots after the disappointment fans had with infinite warfare last year, talk of Vietnam or cold war is topic of choice. 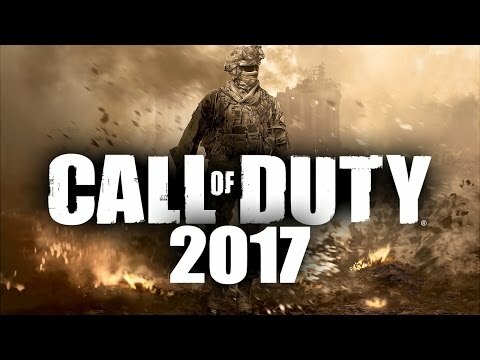 What do you expect from cod this year? They've stated unhappy with how infinite warfare wasn't embraced by fans, more like EA smashed it with battlefield 1 and are following suit. It could be to late for them to go back to basics and they really need to get this right after losing sales from IW, it was still a hit but I'd say that's the arse end of modern warfare remaster being included that IW having a fan base. Further confirmation coming through, getting very excited! Odd to see world at war II as a potential for Sledgehammer, thought it would have been left to treyarch as they dealt with waw originally. I suppose if it was a remaster to be released its the easiest way to go, two for the price of one if they go same route as IW with MW. Activision officially unveiled the next Call of Duty game this morning. Call of Duty: World War II is being developed by Sledgehammer Games, the makers of Call of Duty: Advanced Warfare. A livestream is coming on April 26th (next Wednesday) with Sledgehammer Games co-studio heads and founders Michael Condrey and Glen Schofield. More will be revealed during the stream. Looks like we could be getting a beta when pre ordered the game again. The Big Red One return?! Live worldwide reveal starts at 6pm on the link below..
Can't wait for this, some crazy deals are on offer already too for it ! So who managed to play the Beta and what did everyone think? I had a code for it but never got round to downloading it. Have brought it already so hoping for good things!